It’s something we’ve all considered, right? After a trip to the movies, we all think “what if” and picture clearing a wall at home, getting rid of your TV and replacing it with a huge screen so you can watch movies or play games like a king (or queen). However, after a quick look online it seems like projectors are a lot more expensive than a replacement TV, so you grudgingly close your tabs and mumble to yourself “next time”. Good news, we’re here to let you know that not all projectors are ridiculously expensive, and we’ve even gone and picked out four of the best gaming projectors for your consideration. Below, you’ll find a table with a brief overview of some of our top choices’ specifications. Here are the best gaming projectors that 2019 has to offer. These numbers provide a brief overview of each product, but how do they actually hold up? Let’s take a closer look, starting with the BenQ HT2050. 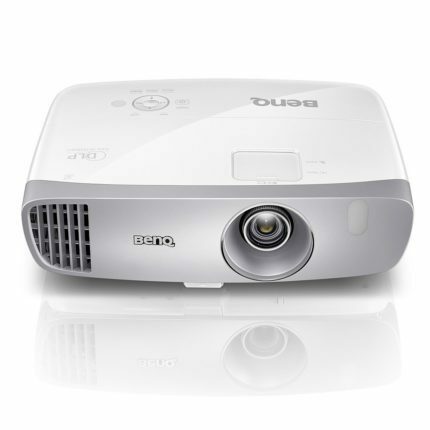 The BenQ HT2050 is a sleek, white DLP projector which offers 1080p 2D/3D output and a screen size of up to 248 inches diagonally. What’s not to like? This projector is a lot smaller than others, although a tad heavier, but at less than eight pounds in weight, it’s still not going to need a two-man team to move. The built-in speakers are powerful and the sound they produce is more than loud enough to be heard even across large rooms, although it is possible to connect external speakers if you want (and we’d recommend this for gaming), since this projector would go well with a nice surround sound setup. Picture quality is excellent, both in 2D and 3D, with good color gradients and shadow definition, however, there can be a small amount of visual noise in exceptionally dark images. A common problem with projectors is the “rainbow effect”, where multi-colored bands move across the screen, however, the HT2050 encounters these very infrequently, except for in black and white videos, wherein they became a distraction. 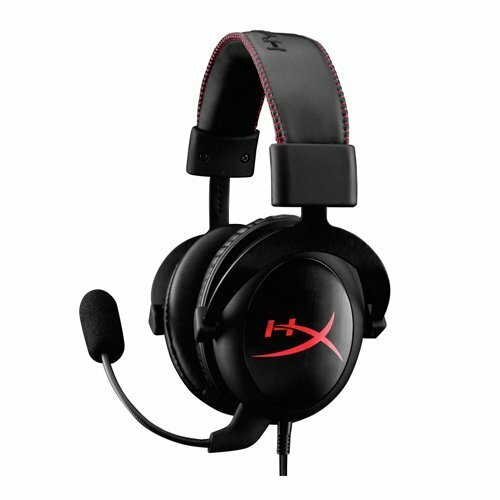 So great for gaming, not so great for watching Casablanca. While the response time on a projector is always going to be longer than on a monitor, this projector’s response time is only 33ms, meaning it refreshes images fast enough to play games on with minimal lag and ghost images. The slightly higher response rate means that you might struggle to play extremely fast-paced games like Call of Duty, but the sheer sense of scale and immersion you get when playing an adventure game is unparalleled thanks to the colossal screen. The fan is exceptionally quiet and we never found ourselves being distracted by it, even with it just a few feet away, although we did find that the lamp struggles to display in a daytime setting, so you might want to invest in some blackout curtains for your theater area to get the best display possible. Additionally, although the maximum screen size is touted as 248 inches, we found that the sweet spot for detail vs brightness lay around 140 inches diagonally. Realistically though, who has almost 250 inches of wall space free anyway? The BenQ HT2050 is a fantastic little projector. It costs under $1000 dollars and provides performance deserving of a much higher price tag. Whether you’re interested in movies or gaming, this is the perfect projector for you, unless you’re a retro film buff, in which case maybe look for one with fewer artifacts in black and white scenes. When a manufacturer says that they’ve designed a product specifically for gaming, it’s enough to make us pay attention, but it takes something truly special for us to recommend it. The Optoma GT1080 is a short throw projector is one such product. Let’s start with performance. Like the BenQ HT2050, the Optoma GT1080 refresh rate is only 33ms, making it great for most games and like the BenQ, it’s very small and easily portable. However, the Optoma outshines its rival when it comes to image and video quality. The colors are vibrant and bold, and the grays are smooth and balanced, which is all you can really ask for as far as image quality goes. If your particular viewing area skews the color somewhat, like maybe if you’re projecting onto a not quite white wall, there are predefined color settings to help alleviate some of the effects of this. The built-in speakers are adequate, albeit a little underwhelming. They provide enough volume for an average sized room, but we’d recommend an external speaker to really get the full experience of whatever you’re watching. This isn’t really a negative – this projector is very good at its primary task: projecting, and the speakers will do in a pinch, but it’s something to bear in mind. The lamp in this projector is rated at 2800 ANSI lumens, meaning that you can use it to watch TV on in the middle of the day, with the curtains open, provided it’s not a really sunny day. This is a huge plus to anyone considering using a projector to replace their “everyday” TV. It should be noted that this is a short throw projector, meaning it has to be close to the wall you’d like to project onto, but all this means is that you can put it on the TV stand and finally let the wall behind it see some use. As far as downsides go, the GT1080 lacks any kind of zoom control, so it really does have to be positioned pretty close to the wall to work as intended. Also, it only comes with an HDMI input, so if you wanted to use a VGA cable, for example, you’d need to purchase a converter. These aren’t expensive, but it is an inconvenience. All in all, this Optoma gaming projector is amazing. 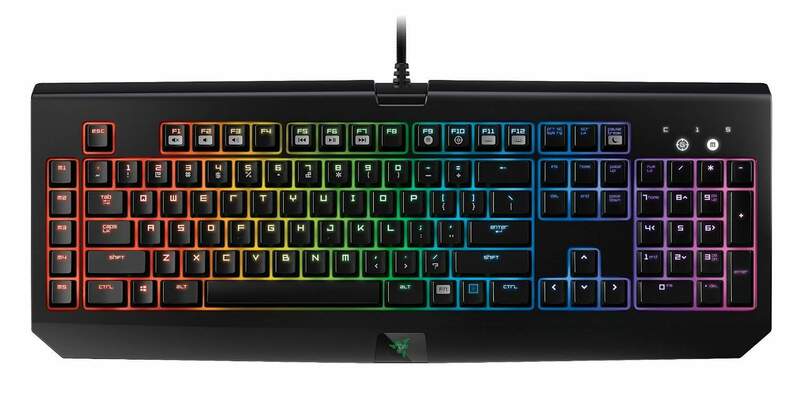 It’s powerful, its colors are stunning and it’s designed specifically for gaming. One thing’s for sure: this would be the perfect centerpiece to any living room. Maybe you want a projector but you don’t really play all those new games at 1080p and you don’t want to spend more money on a projector with features that you aren’t going to use. This projector has a resolution of 1280×800, making it great for playing older games on a huge scale. Imagine getting your friends round for Mario Kart on a 100-inch screen, with less distortion and pixelation than if you had a 1080p projector. Sounds good, right? The lamp in this model is powerful enough to display a 60-inch screen from three feet away, even with lots of ambient light, so that’s not a concern here. The built-in speakers are decent too- capable of being heard across a medium sized room, but it’s not just volume, the sound quality is better than average too. This projector does have some rainbow artifacts which show up from time to time, however, they are barely noticeable unless you are specifically looking for them. Colour balance appears slightly skewed, but you can fix this either by using the built-in options or by tweaking the colors on your input source, although we’d recommend the former. As well as having only a 33ms response time, this projector also has a good range of inputs, coming with HDMI, VGA, and composite ports. This further reinforces this projector’s credentials as a retro gaming machine, since you can plug just about any console into one of these ports and be playing in minutes. There is one specific disadvantage, however. The fan, whilst not loud, is audible from ten feet away, even when used in Eco mode. You probably won’t be able to hear it if you’re watching a movie or playing a game, but when idle, it’s hard to ignore. Overall, this is a great piece of hardware for anyone looking for a “games night” projector. Whilst not 1080p, it’s close enough to be considered high definition and portable enough to be taken with you if you have to move it somewhere. The lamp is bright and strong enough to use this throughout the day, so all things considered it’s a fantastic entry level projector. 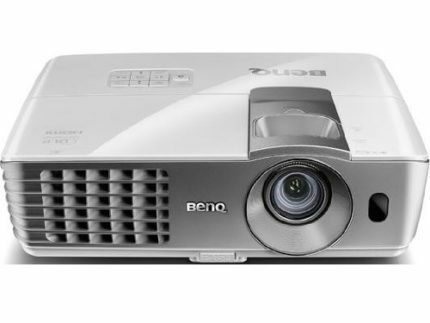 The BenQ W1070 is the closest you’ll get to have a cinema in your home for under $800. It displays vibrant and beautiful colors which really pop, and nuanced darks without losing detail in the shadows. Reds do appear a little lighter than other colors, and sometimes finer details are lost in quick panning shots, but ultimately its performance is breath-taking. It also features adjustable feet at the front AND back, which is great if the surface it’s sitting on isn’t perfectly level. This sounds like something out of the ordinary, but take it from one of our writers, who once bought a pool table to find that their apartment had an unnoticeable slope to it, this is important. Screen size is great, and according to BenQ, can be up to 235 inches assuming you have space. The lamp is powerful enough to block out moderate ambient light, but not powerful enough to block out the main light in a living room. It seems that BenQ’s focus here was picture quality as opposed to making a projector that works in any situation, which seems fair. The 3D performance is excellent, and frankly unparalleled in this price range, although curiously you can only use official BenQ 3D glasses which are around $100. This is unfortunate since that price range is enough to put many people off of the fantastic results that this projector achieves in 3D. The W1070 also has another quirk in that its color tweaking modes aren’t available if your input source is via HDMI. We found this very strange and a little disappointing since your options are limited if it doesn’t display your colors correctly. For what it’s worth though, during our testing we didn’t see any major color problems when using HDMI. Overall, this projector is amazing. Whilst others focus on optimization modes or adding features, this is a projector that has one job and does it very well: displaying images. Gaming on this machine is breath-taking and well worth the price, as long as the lights are dimmed, but hey, it’s a projector. If the lights are on, you’re not getting the full experience. There are a few important things to know before you buy a projector, and we’ll cover these below so that you can make a decision as to which is best for your needs. 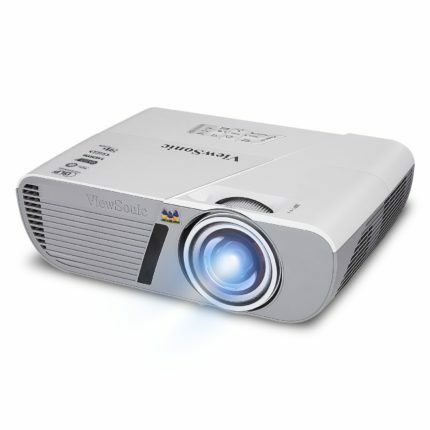 The brightness is a key factor in any projectors’ performance. Brighter displays mean that you can have higher picture quality on a large screen, even during the day. 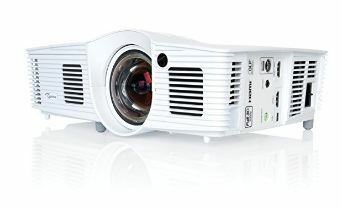 Projector brightness is measured in ANSI lumens, and higher is better. If you’re concerned about the level of brightness needed, there’s a useful calculator available at http://www.adwindowscreens.com/the_calculator/ that’ll tell you the ideal ambient light level for any screen size. Whilst a TV will work until it’s broken or falls into disrepair, the lamp in a projector needs periodic replacement to maintain its brightness. Lamps have varying lifetimes and they depend on which specific projector you have, but most offer around 2000 hours of use before they need replacing. That’s three hours a day for six years, which is generally longer than most people keep one TV set, although lamp life will shorten the more you use it. The lamps themselves are usually around $100-150 so they’re not prohibitively expensive, but it’s something to bear in mind. Projectors come in two types: short throw and long throw. Short throw projectors are placed directly in front of the area they’re projecting on, in front of the audience, whereas long throw is more akin to your “cinema” style projector, positioned behind the audience. Which kind you need depends on the area you plan to use it. If it’s a small space, like a bedroom, a short throw would probably be best, if it’s a big open space like a large room or outdoors, a long throw is the kind for you. It’s worth noting that short throw projectors tend to be more expensive, but you can pick up a decent one for around the same cost as a new TV, so don’t let that put you off if you’re lacking in space. Like with short throw/long throw, there are two types of projectors: Digital Light Processing (DLP) and Liquid Crystal Display (LCD). DLP projectors work by shining light onto a series of mirrors and out through the lens. They generally have higher contrast and sharper image quality than LCDs, but are prone to rainbow artifacts and sometimes have lower resolution. LCDs work by passing light through red, blue and green panels. They are brighter than DLP projectors and have good color saturation, but their image quality can decrease with age. We’ve searched high and low for the best gaming projector. We’ve done our research and extensively tested and reviewed every product on our shortlist, and one in particular stands above the rest. The BenQ 1070 is an incredible machine that replicates the cinema feeling right in your own home. For under $800, this is the best gaming projector on the market, hands down. We hope this guide has been informative and useful in helping you come to a decision on which projector to buy. Know one thing for sure though, whichever one you’ve chosen, you’ll be the envy of your friends and the first one they come to when they arrange a movie night.